For that pest in your life we have both live and terminal traps, repellents, bait, and bait stations, scare tape, motion sensors and solar owls. Crossbow is not a product you will find in most garden/hardware stores. 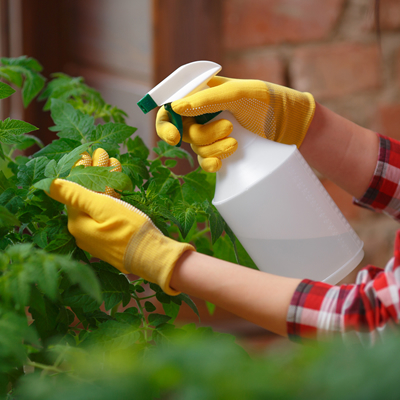 The Grange holds a Pesticide Dealer’s License which allows us to offer this product to our customers. Crossbow is a very popular and effective pesticide. The active ingredients are 2,4 dichlorophenoxyacetic, (2,4 d for short) and Trycoplyr. These combine to make a low volatile selective broadleaf weed killer. Used properly, Crossbow will control broadleaf weeds without harming grasses which makes it ideal to use in lawn and pasture areas. The label instructs that the area sprayed is safe for re-entry as soon as the application has dried but we recommend waiting at least 24 hours before re-entry. 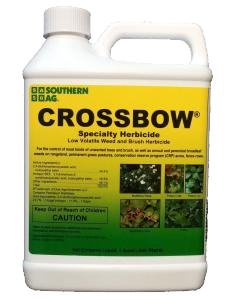 Crossbow, as well as other herbicides, is formulated to be most effective when mixed and applied per label instructions. The old adage, “more is better,” does not apply to pesticides. Often when higher mixing ratios are used the end result is less control of the target weed and unintended damage to desirable plants in the area.